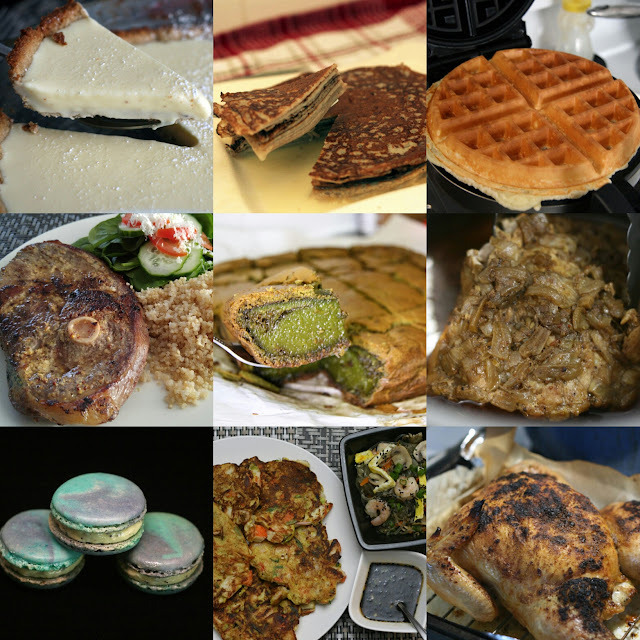 A look back at Beyond Umami's Food Resolutions for 2017 and into 2018! Happy 2018 everyone! So I am a tad late on doing a re-cap and my post for Food Resolutions for 2018! So, let's start with taking a look back at some of my blog posts from 2017. In 2017, I (with Dan's help) started doing some videos. We don't have much in terms of space in our kitchen (hello 1950's house with the smallest kitchen!) nor do we have all the equipment but we made do with what we had. We learned so much and will likely do more videos. In the meantime if you haven't seen either the Buckwheat Crepe or the Amazingly Crispy yet Gluten Free Waffle video recipe please go check out the recipe and the videos! I have hyperlinked all the recipes from the above pictures below as well. It is a good mix of recipes with an Instant Pot recipe, a cookbook review, the start of my neighbourhood gem posts and macarons of course! In terms of Food Resolutions from 2017, I had said I would cook more from the Duchess Cookbook and make more macarons! 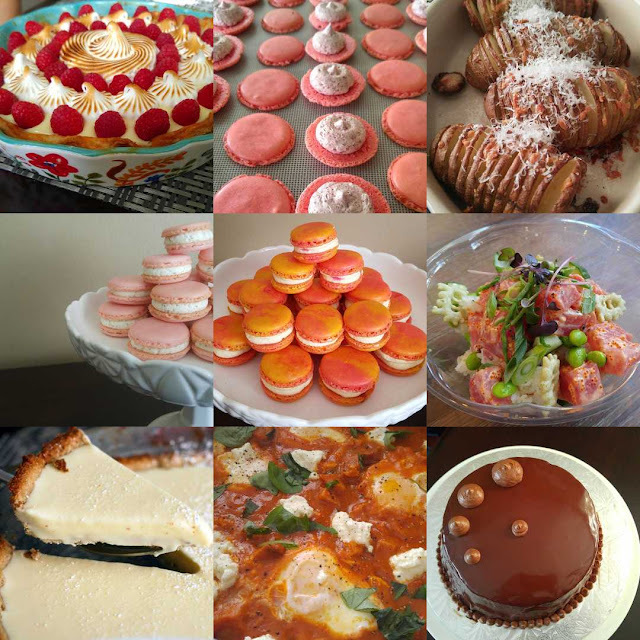 Cooking from the Duchess cookbook was definitely achieved as I made the Duchess Duke Cake for Dan's birthday back in August, the Lemon Raspberry Pie and also did a feature post with Duchess' strawberry macarons when they republished their cookbook back in October 2017. I also started up Stanley the sourdough starter again in the latter half of 2017 - he is aptly name Stanley the Starter the III. I did manage to make my first loaf of sourdough with him under Dan's careful instructions but haven't been able to make a successful one since. 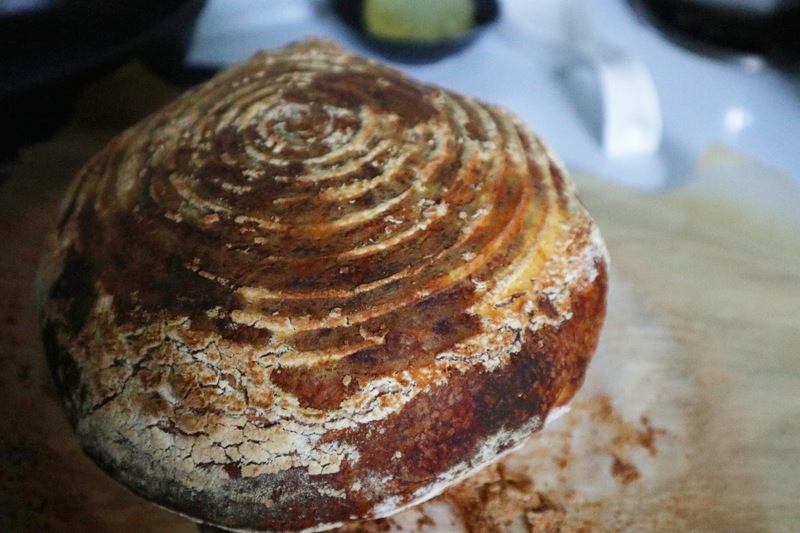 I think I may have to start again with a new starter as it has not been good for bread but has been great for making sourdough cinnamon bus - like the ones in my blog post with the FEAST cookbook. Again, Dan and I haven't been able to even get into our French Laundry cookbook. It also makes it way harder when Dan and I aren't even in the same city. So these next few months until August continues to be a different type of journey for both of us. Lastly, Instant Pot Recipes. I have definitely played around more with my instant pot and even made an Instant Pot Pressure Cooked Risotto as my first post for 2018! Seriously, if you haven't made this and have a pressure cooker or Instant Pot make this recipe!!! You may reconsider, like me, whether or not you want to stand in front of your stove stirring to make risotto. I am looking forward to 2018 and hope that I can continue to work on my Food Resolutions. Mainly making a successful bread with my sourdough starter, more instant pot recipes, macarons and just blogging what I've tried in my kitchen to share with you all!